The Asus Zenfone 3 is now official. Here's our comprehensive take on the biggest smartphone release this season. Read On. It has been a long wait for the growing number of Zen fans for the official turn of another Zenfone era. 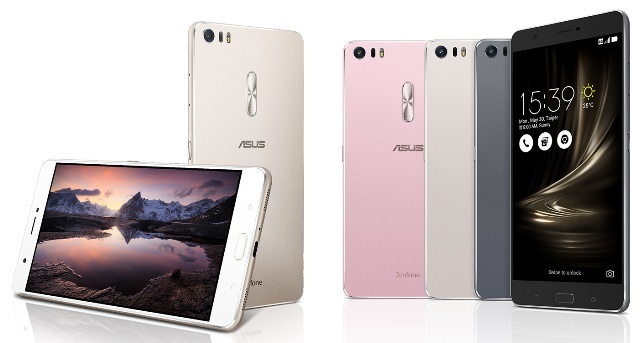 After long months of intense speculations, Asus has officially took the wraps off of the heavily-anticipated Zenfone 3 and its variants, the Zenfone 3 Ultra and the top-of-the-line Zenfone 3 Deluxe. Last year, it has been a crazy ride with the Zenfone 2 series - Laser, Deluxe, etc. This time, we don't want you to get confused so we will present these three puppies in their own spotlight. We know you guys are now on the edge of your seats, so we will not waste more time. Let's start with the regular Zenfone 3. The basic model catches a considerable amount of attention with its 2.5D Corning Gorilla Glass on both front and back panels. Its body is mostly defined by glass construction, especially at the back where it overlays the elegant spun-metal design. The metal frame also adds exquisiteness to the already appealing body of the Zenfone 3. The Zenfone 3 is the first ever handset to churn with a Qualcomm Snapdragon 625 which is packaged with eight ARM Cortex-A53 processors running at 2 GHz speed and Adreno 506 graphics processor. In terms of the display, the 5.5-inch 1080p FHD IPS screen guarantees 500 nits of brightness from the panel for a great visual experience. This dual-SIM smartphone packs up to 4GB of RAM and 64GB internal memory. However, the base unit priced at USD 249 (approx. Php 11,650) comes with 3GB of RAM and 32GB native storage. An expansion is also offered by the secondary SIM slot. At the bottom side lays the the speaker which Asus claims to be driven by a "5-magnet" speaker technology which shoots Hi-Res Audio. Under the hood, we can expect a Cat.6 LTE chip with up to 300 Mbps download speed and 50 Mbps uplink. There's also Bluetooth 4.2 and WiFi 802.11ac connectivity. This 3000mAh-powered smartphone is also the first of Asus handsets to pack USB Type C. It also features the fingerpirnt sensor at the center of the spun-metal design. There's no denying the fact that the Zenfone 3's 16MP main shooter is one of its strongest points. It is a Sony IMX298 which is basically the same sensor found in Xiaomi Mi5 and Huawei Mate 8. The new-generation Laser Autofocus uses the company's TriTech technology which focuses in 0.03 seconds. The main camera is even beefed-up with 4-axis optical image stabilization, 3-axis video electronic stabilization, dual-tone LED Flash, phase detection auto-focus and color correction sensor. Meanwhile the front camera moves up to 8-megapixel with 85-degree wide angle view. The selfie shooter is also packed with the usual beautification software from the Taiwanese outfit. 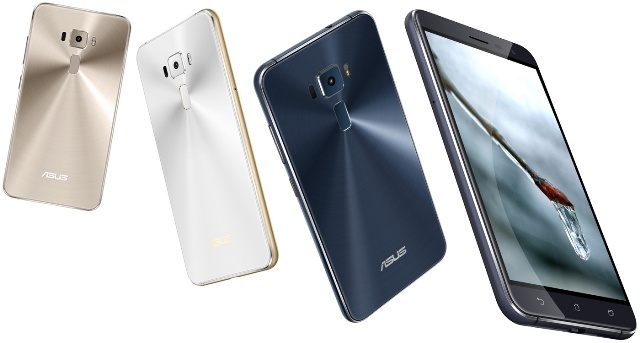 The Zenfone 3 Deluxe is dubbed as the flagship device among the three. Its design language is defined by a full metal aluminum unibody. Asus also claims that it's the first handset to have "invisible" antenna bands which have been subtly placed at the sides. 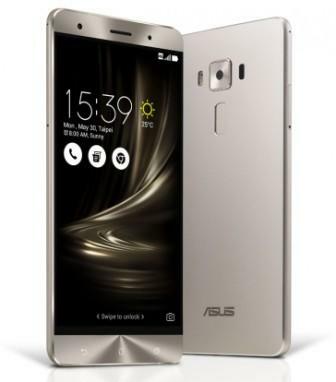 To be consistent with the standard Zenfone 3, there's also a spun-metal accents on the chin and the receiver portion of the smartphone. On the front, the Deluxe highlights a 5.7-inch 1080p FHD Super AMOLED display which features an always-on screen just like the LG G5 and Samsung Galaxy S7. The handset churns with the best of its class processor, the Snapdragon 820, coupled with a mouth-watering 6 GB of RAM. When it comes to the camera, there's no stopping the Asus Zenfone 3 Deluxe. It is the first smartphone to pack the 23-megapixel Sony IMX318 sensor with f/2.0 aperture. Apart from the same 4-axis optical image stabilization, the sensor is revved-up with 4K video recording capability and a whopping 92-megapixels super resolution mode. The 6GB RAM variant with 64GB internal memory is priced at USD 499 (approx. Php 23,300). Its internals include the Cat 13 LTE with tri-band aggregation and up to 150 upload speed. The USB Type C port hosts USB 3.0 connectivity and QuickCharge 3.0. The biggest of the pack is the Zenfone 3 Ultra which is slated for wider screen real-estate lovers with its 6.8-inch 1080p FHD display. Asus is also branding the handset with True2Life+ tech which is a 4K UHD TV-grade image processor. Likewise, it also packs two set of 5-magnet speakers with Hi-Res audio quality. According to the Zenfone maker, it’s the first smartphone with a virtual 7.1 channel surround sound. These features make the Zenfone 3 Ultra a legit entertainment and multimedia handset. Under its belt is the Snapdragon 652 with octa-core processor coupled with 4GB of RAM. This 4600 mAh-powered smartphone comes with the same 23-megapixel Sony IMX318 sensor as the smaller Deluxe. Speaking of battery, it can also power other handsets via USB-OTG. It is priced at USD 479 (Php 22,500). All Zenfone 3 smartphones boot with Android 6.0 Marshmallow underneath the company's proprietary ZenUI. 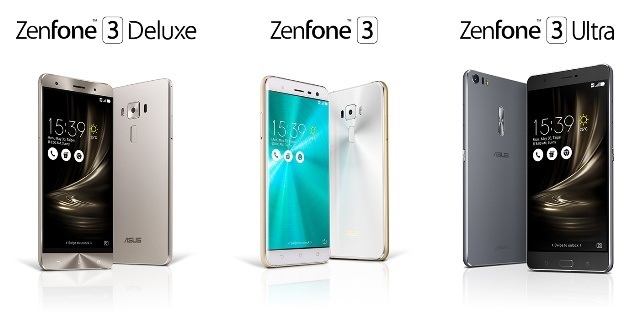 For sure, the Asus Zenfone 3 will not settle for only three handsets in its portfolio. But at this time frame, the series will undoubtedly be another hit for the Taiwanese company. Personally, I am rooting for the base model with its edgier design and very practical price standpoint. In the Philippines, expect that the smartphones will come in the coming months.